APPSC Group 2 Syllabus 2018 – Download PDF: Candidates who are Waiting for Andhra Pradesh Public Service Commission Exams Should start their Preparation are Requested to Download the Previous Papers, Which are Very Useful for their Examination. The Previous Papers PDF is Available in Our Website jobsbadi.com. Here we have given the detailed information regarding the APPSC Group 2 Syllabus 2018. 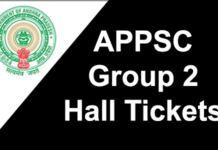 Applicants can also download the APPSC Group 2 Exam Syllabus PDF along with Exam Pattern through the direct link attached below. There is a huge competition for APPSC Group 2 jobs so Candidates Should Prepare Well. So Candidates are Can use this opportunity to Get a Government job By taking good preparation for their Examination. Andhra Pradesh Public Service Commission Syllabus 2018 and Exam Pattern for Aptitude Test had given here. 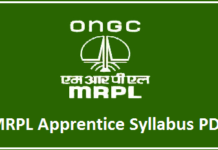 Applied Candidates of Department of Recruitment can have a look at this article to get and download the Latest Required APPSC Group 2 Exam Syllabus along with Exam Pattern. Here regularly we are updating all Latest Government Jobs Exam Syllabus PDF along Exam Pattern. Before going to attend for you should know the Syllabus and Exam Pattern for Andhra Pradesh Public Service Commission Aptitude Test. If you are applied for APPSC Group 2 Recruitment 2018 and searching for Andhra Pradesh Public Service Commission Previous Question Papers, Check the Latest solved Papers of Andhra Pradesh Public Service Commission exam Papers. APPSC Group 2 Previous Papers will help the Candidates to crack the exam easily. With the use of the previous papers, the candidates can estimate the level of difficulty of the exam. And they can also find the Solution to the Difficulties. Candidates who are preparing for Andhra Pradesh Public Service Commission exam conducting by Central Government can also get the APPSC Group 2 2018 Syllabus and Exam Pattern along Previous Year Question Papers. Constitution of India with emphasis on Federalism, Fundamental Rights, Fundamental duties, Union and State Governments, Judiciary, Judicial Review, Local Government, Directive Principles of State Policy, Union and State Legislature, Administration and Legislative relations between Union and State Governments, Scheduled and Tribal Area Administration. Impact of bifurcation on river water sharing and consequential i). AP REORGANISATION ACT, 2014 on AP and the arbitrariness of certain provisions. Social and Cultural History of Andhra Pradesh: Geographical Features of Andhra – Its Impact on History and Culture – Pre-History – The Satavahanas, Ikshvakus – Socio- Economic and Religious Conditions – Literature, Art and Architecture – The Eastern Chalukyas of Vengi – Society, Religion, Telugu Language, Literature, Art and Architecture. Events leading to the Formation of Andhra Pradesh State – Visalandhra Mahasabha – States Reorganization Commission and Its Recommendations – Gentlemen Agreement – Important Social and Cultural Events between 1956 and 2014 . Nature of the Indian Constitution – Constitutional Development – Salient features of Indian Constitution – Preamble – Fundamental Rights, Directive Principles of State Policy and their relationship – Fundamental Duties, Distinctive features – Unitary and Federal. Distribution of Legislative and Executive Powers between the Union and the States; Legislative, Administrative and Financial relations between the Union and the States– Powers and the Functions of Constitutional Bodies- UPSC, State Public Servic Commissions, CAG and Finance Commission. Socio- Economic – objectives and outlays of Five Year Plans – alternative strategies – Goals and Achievements – Causes for failure of different Plans –New economic reforms 1991. Regulation of the Economy – Creation of regulatory bodies-NITI Aayog- Co operative Federalism and decentralization of financial resources. Distinction between growth and development – Measurement of growth – Growth, Development and Underdevelopment – Characteristics of Underdevelopment – Stages of development – Sources of capital formation – Growth strategies; Deregulation and growth. Service sectors of Andhra Pradesh – Importance – Composition and growth with special reference to Power, Transport and Communication, Tourism and Information Technology in Andhra Pradesh.